WITH Diabetes Week, that runs from 11 June to 17 June 2018, coinciding with Men's Health Week, Lancashire Care NHS Foundation Trust's Diabetes Service in Southport and Formby are calling on people with diabetes, particularly men, to talk about diabetes and learn how best to manage the condition. Around 700 people are diagnosed with diabetes a day in the UK with some 34 to 44% of the population in the Southport Region, aged 40 to 79, having Type 2 diabetes. Statistics also show that people with diabetes in Southport are 75.7% more likely than people without diabetes to have a heart attack and 57.2% are more likely to have a stroke As a result health professionals are encouraging people with the condition to have conversations about the condition with their doctors, friends and families. People with diabetes in Southport and Formby can also access a free education course and individual support at various locations in the area that are targeted at people living with Type 2 diabetes. There is an estimated 4.5 million people living with diabetes in the UK with around 1.1 million people who have the condition but have not been diagnosed. To help people with diabetes in the area to manage their condition, free education programmes are on offer. Lancashire Care offers 2 programmes, "Diabetes and You" for people who have been newly diagnosed with Type 2 diabetes and "Diabetes and More" for people who have been living with the illness for more than a year. John Bennett, 65, who was diagnosed with diabetes 2 months ago said:- "I'm retired and I was a driver in my last job. I was diagnosed with diabetes when I went to the GP for a 65 MOT and that's when I learned that I had diabetes. I don't have any symptoms and I was referred to the service via my GP. When I visited the service, I found them very useful and helpful. I have no complaints whatsoever. They are very clear, they don't patronise you and they tell you what is what when it comes to diabetes. The clarification is perfect. The service gives you a lot of confidence in dealing with diabetes and I would recommend other people with diabetes to visit the Diabetes Education Team and ensure they get help early on." 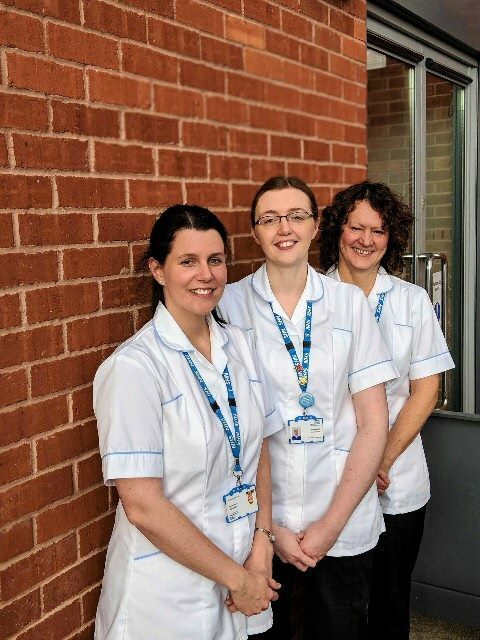 Diabetes services in Southport and Formby are delivered by Lancashire Care NHS Foundation Trust. Diabetes sessions are informal, friendly and last approximately 2 hours with short breaks. They are held in a variety of locations across Southport and Formby with timings throughout the day, evenings and weekends. To find out more, speak to your GP, practice nurse or health care professional and request a referral. Alternatively, contact the Diabetes Education Team on:- 01704 387271 or email lcn-tr.diabeteseducation@nhs.net. For general advice on any form of diabetes, call the Diabetes UK Helpline on:- 0345 123 2399 or visit:- Diabetes.Org.UK. Lord street to close for roads works again! 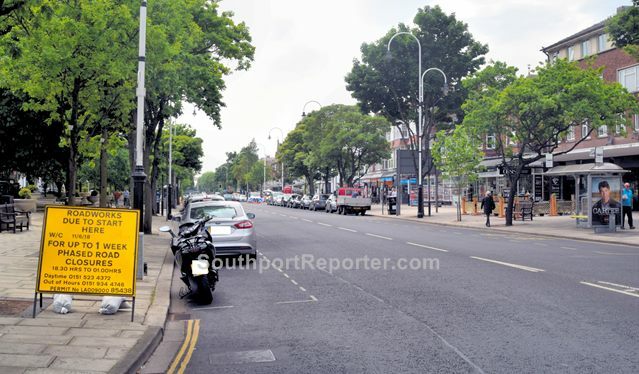 IN August and September 2016, residents in Southport complained about Lord Street turning from it's historic Red colour to black, when resurfacing work was undertaken. At the time Sefton Council said that the decision to use a black surface would result in significant savings, easing pressure following huge budget cuts. As the work took place it not only divided opinion in the Town over the colour, but also the fact the work lead to not only major inconvenience and disruption for local businesses, but to public transport for 6 weeks... Then as 1 local business said, came the icing on the cake... Some locals started notice that the side roads, joining on to Lord Street had started to deteriorate rapidly on the junctions. Soon after, in places on Lord street itself, the new surface began crumbling within the space of a few weeks. In February Sefton Council announced that it will begin repair work, from 11 June 2018, on Lord Street. The work will be conducted at night, from 6:30pm to 1am, over what is hoped will be 5 nights. It is hoped that this will minimise the inconvenience and disruption as much as possible. Over that time phased road closures will take place over the full length of the road, with diversion in place via:- Duke Street, Victoria Way, Esplanade, Seabank Road. We are told that pedestrian access to shops and amenities will be available at all times, as well as access for emergency vehicles. What are your views on this issue? Please email us to:- News24@SouthportReporter.com with your thoughts.